How Can I Demonstrate that my Physician Attempted to Conceal their Error? - Baizer Kolar Neiman P.C. How Can I Demonstrate that my Physician Attempted to Conceal their Error? Typically, the statute of limitations for medical malpractice claims in Illinois is two years from the date that the patient knew or reasonably should have known that his or her injury or worsened condition was caused by a healthcare provider’s negligence. There are a few exceptions to this rule, one of which is cases where the healthcare provider intentionally concealed his or her error. A recent Medscape survey found that 7 percent of physicians surveyed think it is acceptable to hide clinical errors from patients and 14 percent responded that this behavior is sometimes acceptable, depending on the circumstances that surround it. Perhaps more shockingly, only 78 percent of doctors responded that it is never acceptable to fail to reveal an error to a patient – down from 95 percent who gave this response in 2010 and 91 percent who gave it in 2014. Medical malpractice cases are expensive for healthcare providers and systems. Not only does a successful claim cause their insurance rate to rise, it can cause bad publicity and drive away business, putting an additional financial strain on the provider. 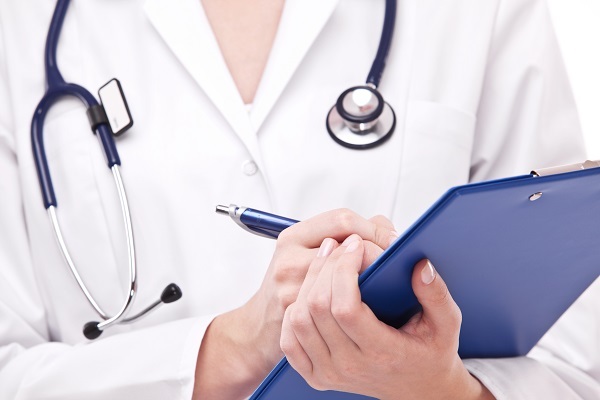 So what can you do if you suffer from a medical error that your healthcare provider conceals? Any medical malpractice claim requires supporting evidence. For the most part, your is no different. However, there is one difference – you need evidence to show that your doctor concealed his or her error. Look through the records you have. Do you have any record of your interactions with your doctor that show an important omission or a blatant lie? The physician from whom you receive follow up care may be able to help you by demonstrating that your original doctor should reasonably have know about the mistake and that there is no reason why he or she would not have seen or told you about it. Linking your injury to the mistake is as important as proving that the mistake was concealed. Pieces of evidence like your medical record, testimonies from medical professionals, and your recovery progress are all important parts of your claim. If you allege that your doctor or another healthcare provider intentionally concealed a mistake that caused you to suffer harm, you will need a strong body of evidence to prove support your claim. An experienced medical malpractice lawyer can help you obtain that evidence and use to to effectively support a medical malpractice claim. To learn more, contact our team of experienced medical malpractice lawyers at Baizer Kolar, P.C. today to set up your initial consultation in our office. Baizer Kolar Neiman P.C. accepts qualified cases for personal injuries on a contingency fee basis. Our clients don't pay any attorneys' fees unless we win their case. Contact us today for a free consultation about your rights. Can I sue my chiropractor? If Malpractice Occurred but I did not Suffer Harm, Can I Still Collect Compensation? Contact Baizer Kolar Neiman P.C.